May 23, 2009: Time to Fertilize! Well it has been 1 month since I last used fertilizer. 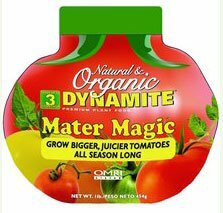 I had put some Dynamite Mater Magic Tomato Food (5-5-9) in the planting hole when I planted out. Dynamite tomato food is Completely Organic and OMRI certified this cute little bottle contains the perfect food for Tomatoes. 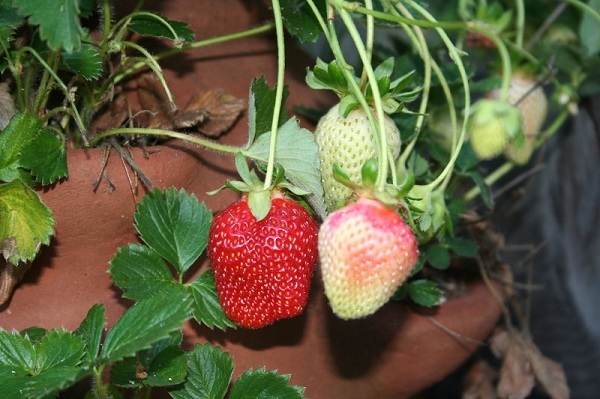 Contains micronutrients and calcium to prevent Blossom End Rot and feeds up to 3 months. For bigger, juicier tomatoes, with higher yields this natural plant food can’t be beat. This is a granular product, not a liquid. E. B. 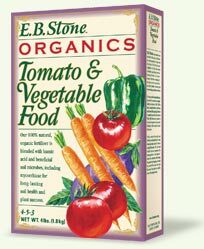 Stone Tomato & Vegetable Food is formulated from quality natural organic ingredients for use throughout the vegetable garden as well as with soft fruits like strawberries. 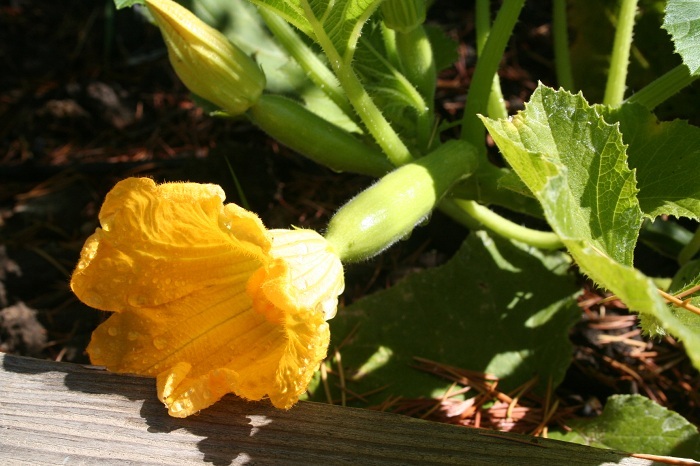 It will contribute to even plant growth without producing excessive foliage at the expense of fruit. The additional phosphorous helps to ensure the production of high quality fruits and vegetables. 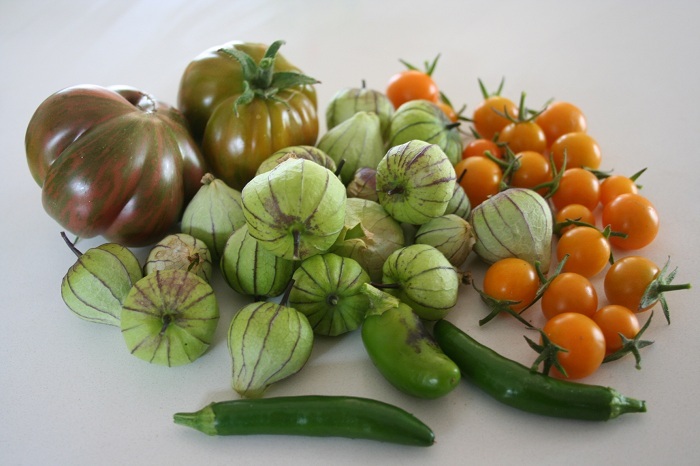 The calcium in our Tomato & Vegetable fertilizer aids in preventing disorders like blossom end rot and helps to correct acidic soil conditions. 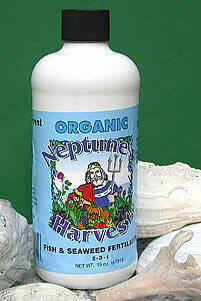 I am going to alternate feeding the plants with Neptune’s Harvest Organic Fish/Seaweed Blend Fertilizer (2-3-1). Neptune’s Harvest Organic Fish/Seaweed Blend Fertilizer (2-3-1) gives you the best of both products with a perfect blend of fish hydrolysate and seaweed, ensuring a complete fertilization program. Growers using our fish/seaweed blend fertilizer on a regular basis have reported increased marketableyields and improved shelf life on fruits and vegetables. Fish and Seaweed are known to build the natural sugar in plants. Flowers and foliage will be stronger and more colorful. Blooms will be more plentiful, fragrant and longer lasting. I will probably use the Neptune’s Harvest in 3 weeks, then EB Stone 3 weeks after that. Have you used Mater Magic in the past? I am just wondering what your thoughts on it are? 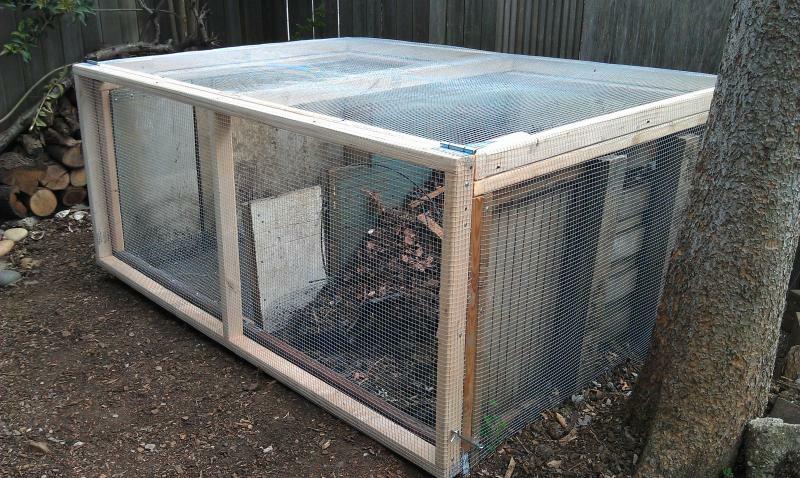 In previous years I have relied on compost and an application or two of fish emulsion. But I couldn't resist this cute little bottle. Tell me I didn't waste my money! Also, you have a frequent fertilizing schedule. Mater Magic says it lasts three months yet you are fertilizing three weeks later. Any advice you can give me will be greatly appreciated. Thanks! This is my first year gardening so I am by no means any sort of expert. I put the Mater Magic in the planting hole when I planted out. I had heard great things about Dynamite fertilizers. The second time I fertilized was a month later. I know that Mater Magic says that their fertilizer lasts "up to 3 months" but I have a fast draining garden and we had alot of rain so I sort of felt like it could use more fertilizer so I used EB Stone. 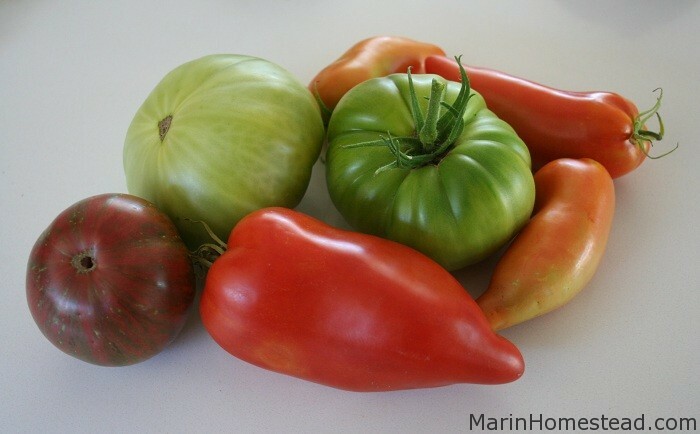 I actually just added some Neptune's Harvest Fish Emulsion today (i know, only 2 weeks later than EB stone) because I read to fertilize when you get fruit set and most of my tomato plants have fruitset now. Hi Christine, I wanted to add about Mater Magic that it was the only fertilizer I used for the first month and the plants really took off. I had fruitset within 3 weeks of planting out. That does seem very early for fruit set, I am quite impressed if this is your first garden! I think I will use the Mater Magic at planting time next year. It was difficult working it into the soil with so much tomato growth at this time. I still have no fruit set but plan to add some fish emulsion when there is. That is a good point about fast draining soil. I tend to water too often so I may be washing away those precious nutrients.